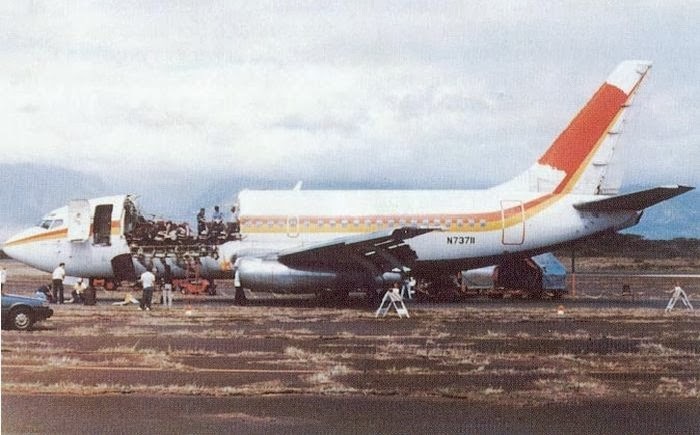 Aloha Airlines Flight 243 was a scheduled Aloha Airlines flight between Hilo and Honolulu in Hawaii. 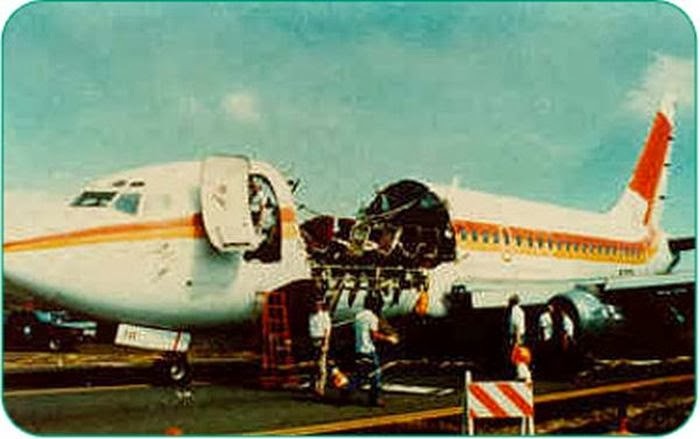 On April 28, 1988, a Boeing 737-297 serving the flight suffered extensive damage after an explosive decompression in flight, but was able to land safely at Kahului Airport on Maui. The only fatality was flight attendant Clarabelle "C.B." 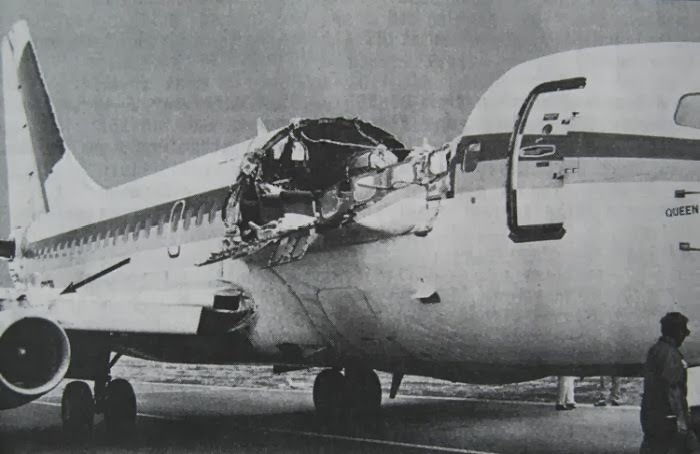 Lansing, who was blown out of the airplane. 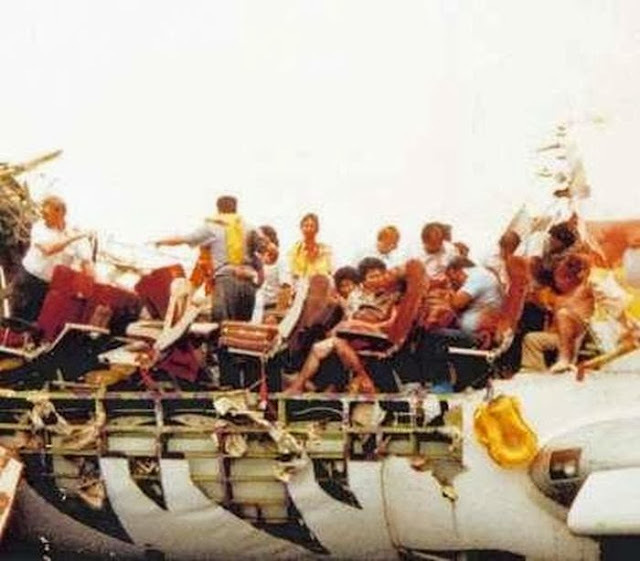 Another 65 passengers and crew were injured. 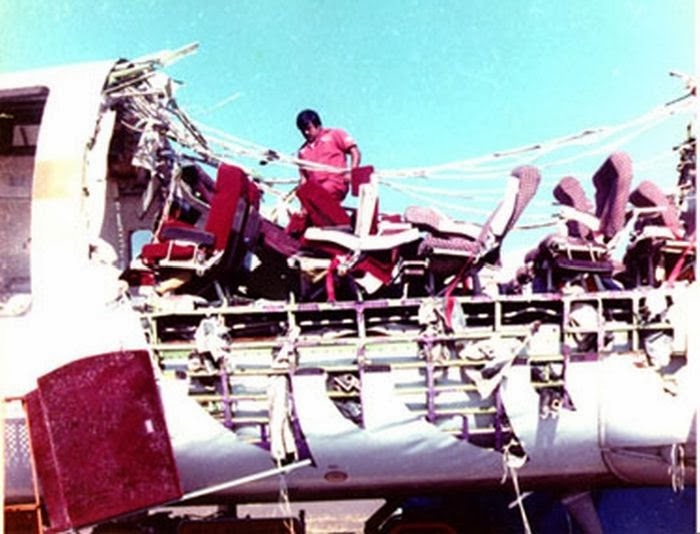 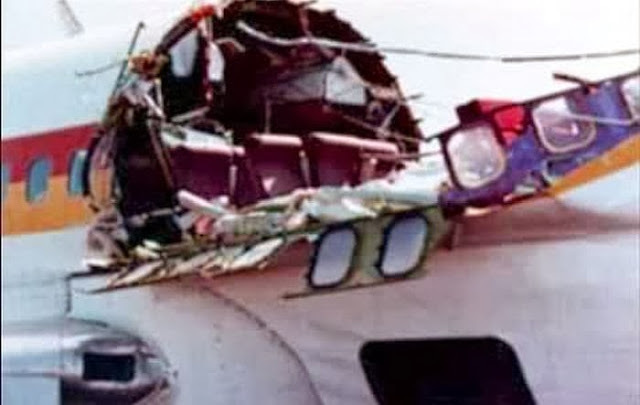 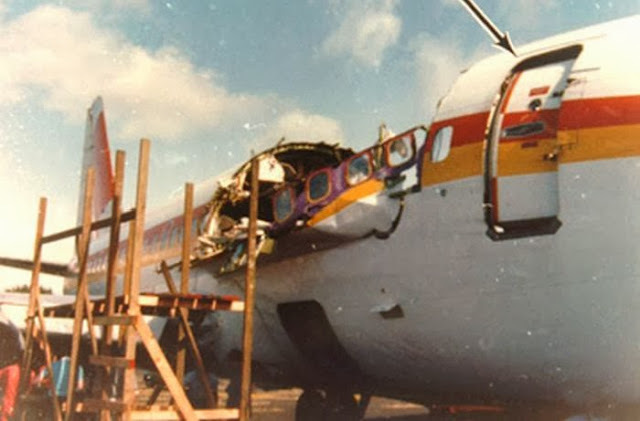 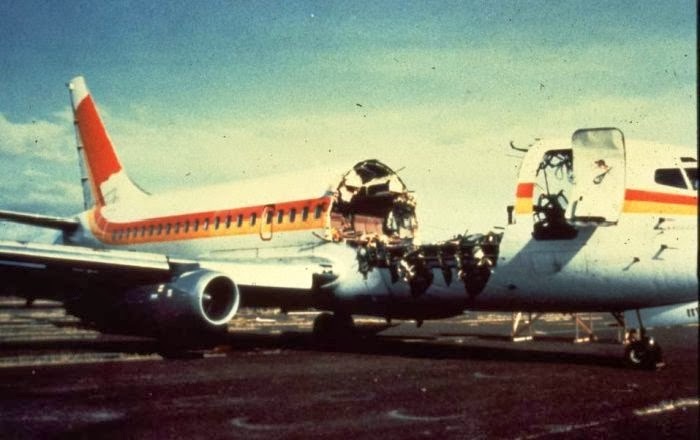 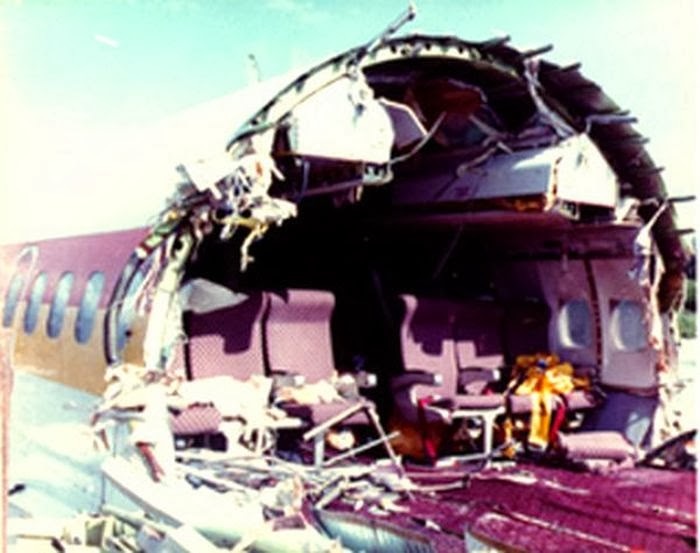 The safe landing of the aircraft despite the substantial damage inflicted by the decompression established Aloha Airlines Flight 243 as a significant event in the history of aviation, with far-reaching effects on aviation safety policies and procedures. 1 response to "243 Aloha Airlines (11 pics)"
I was living on Oahu when this happened. 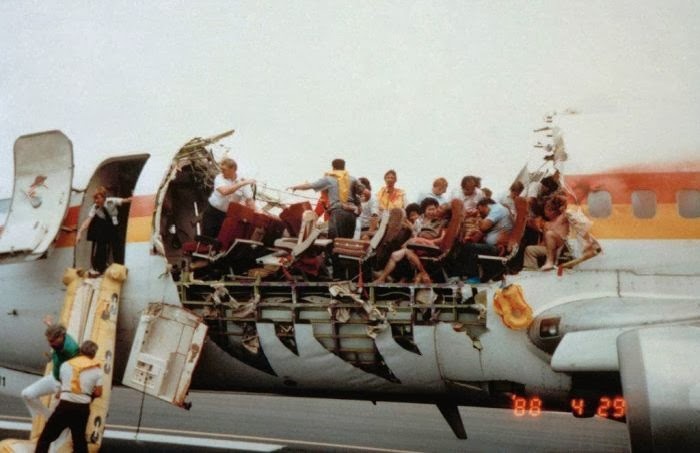 My landlord regularly took this flight for business. He was not on it this day however. 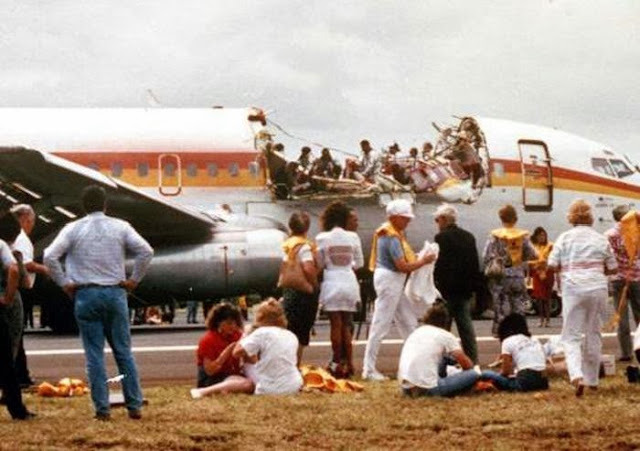 He knew Ms. Lansing the lost stewardess very well.